Local farmers supplying home grown fresh lamb, beef and pork. 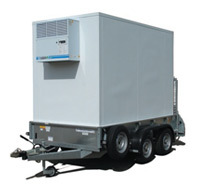 Available for hire is our versatile freezer trailer also offering a chiller facility. 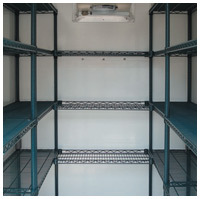 It is fitted out with both shelves and hanging space to allow for a variety of storage solutions. Delivery is included in the above prices if venue is within 20 miles of Dorchester, Dorset, UK. Thereafter a per mileage charge will be added, POA. If you are renting for more than one date or your booking is for consecutive dates, please contact us for an individual quote. 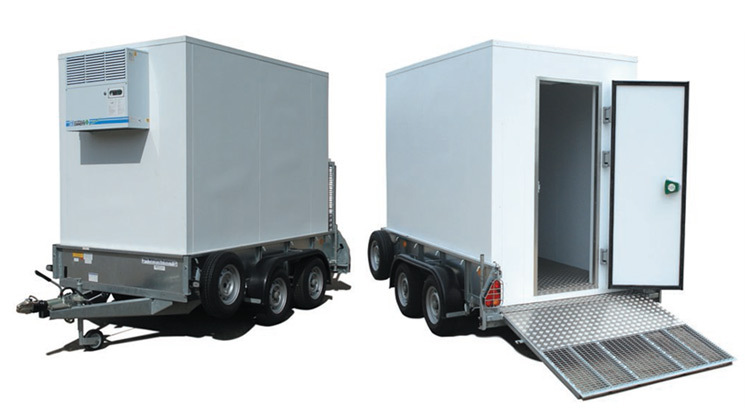 If you wish to hire one of our trailers then please contact us or download our booking form in WORD or PDF formats. The rates of hire, delivery and collection will be confirmed in writing in a form of a quotation – verbal quotes may be given as a guide only. All payments for the hire of the trailers must be complete prior to the date of rental. Lack of payment may result in T Bamlet removing the trailer from rental site. The period of hire commences on the day that the refrigeration trailer leaves our site and continues until the unit off hire: both days being included in the period of hire. 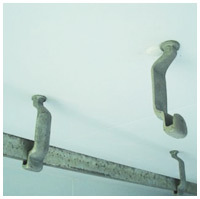 The trailer must be sited on flat and level hard standing base provided by the customer. 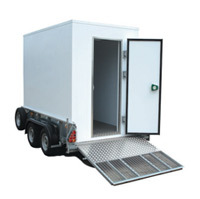 If the trailer is to be situated in a building or marquee, then adequate ventilation must be available to maintain an ambient temperature of no more than 22°C. The mains power socket must not be more than 12 metres from the unit using a 13 amp cable or 25 metres from the unit using a 16amp cable. Failure to observe this condition may result in damage to the unit which be charged to the hirer. A ll units are cleaned and checked prior to the hire. The hirer must monitor the temperature on a regular basis and any significant change should be notified to T Bamlet Limited immediately. Should the unit breakdown, T Bamlet Limited should be contacted immediately to arrange for repair works to be carried out. Under no circumstance should the hirer attempt any repair work themself. The hirer is liable for a £500 insurance excess on every claim relating to damage or theft of the trailer. We do not accept any liability for loss of contents under any circumstances therefore the hirer must ensure that the contents are insured. The hirer must ensure that there is adequate ventilation around contents to allow the temperature to be evenly maintained. Contents to be stored must be food safe and free from contamination. The unit is designed as a holding room, therefore contents entering the chiller must be between +5°C to +10°C. It is the hirer’s responsibility to ensure that all temperature criteria are adhered to. The door must only be opened to allow access. The strip curtain must be allowed to hang over the entrance to the doors. If the doors are left for longer periods of times, large fluctuations in temperature will occur which may result in the fridge icing up causing blockages and breakdown. The trailer will be towed to the hirer’s venue and set in place. It will be fitted with anti-theft devices. Any loss or damage to these items will be charged for as follows. Delays due to incidents beyond our control i.e.